Bane Leather jacket for sale online. The jet black jacket from blockbuster movie Dark knight Rises is made of Faux Leather with adjustable waist belt. The 2012 blockbuster movie “The Dark Knight Rises” is still in the memory of most of us. The dashing hero Tom Hardy played the vital role as Bane and grasped the concentration of every viewer by his performance and awesome appearance. He wore Bane Leather Jacket and made a special place in the hearts of his fans. 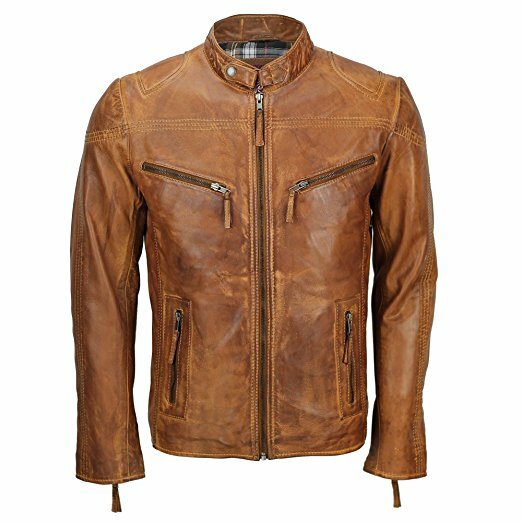 The genuine cow leather is used in the preparation whereas the soft polyester lining has made it extraordinarily comfortable. The black, long Bane Leather Jacket has collarless round neck style with adjustable straps. The padded shoulders and elbows are given for extra comfort. A very appealing feature of the Bane Jacket is the adjustable waist belt which makes you more smart and dazzling. The front closure consists of the branded YKK zip and the high-quality buttons. The slim fit style of Bane Jacket For Sale and four flap pockets with button make you win some.